Our Bromley dentist answers your implant questions. Over the years, we’ve understandably had lots of questions asked about dental implants, so, hopefully as a handy guide, we thought we would start 2016 with a look at some of the more common ones and the answers to them. Perhaps unsurprisingly, this is the most common question that we are asked about dental implants at the Smile Dental Practice in Bromley. The answer is that, like all invasive procedures, some slight discomfort may be felt during the treatment. However, given that a powerful local anaesthetic is used and you are in very experienced hands, any level of discomfort should be minor and no more significant than other treatments. The inconvenience of the procedure and short healing period is well worthwhile, and you will receive replacement teeth that are strong and long-lasting. Our Bromley dentist suggests a few ideas for better oral health in 2016. Within a few days, most of us will be sitting down to eat far more than we usually do, and probably over indulging in drink and ‘unhealthy’ food. There is little point in trying to challenge this status quo; most of us know we will fail if we do. The period just between Christmas and the New Year though, does give us some breathing space for reflection, and we can use this time wisely to look at ways that we can improve ourselves, and our health, including, of course, our oral health. 1) Reduce sugar intake. This is one of the biggest things you can do to improve all aspects of your health, but in particular your oral health. Excess sugar intake will lead to dental decay as the bacteria that feed on sugar eat away at the protective enamel of your teeth, exposing the vulnerable inner part. 3) Drink less alcohol and more water – Alcohol dehydrates the body and reduces saliva flow. This reduction in saliva flow means that both food debris and the bad bacteria in the mouth are not washed away so easily, leading to an increased risk of gingivitis. Bad breath is also a common side effect of having dry mouth syndrome. Drinking more water will help to reverse this and help your body generally flush away toxins. Prompt action can be the key to saving a damaged tooth. A dental emergency can strike for any given number of reasons. Generally speaking though, it will be the result of a toothache caused by decay or an underlying problem such as root canal infection. Alternatively, it may be the result of a blow to the face in an accident. Whatever the cause though, the key to resolving it is to receive treatment as soon as possible. First of all, we should state that if you have received a heavy blow to the facial area; rather than contacting the Smile Dental Practice, you should visit the A&E department of your local hospital to make sure that there are no broken bones or serious head injuries. Providing that there are no major problems, then the next port of call should be to call us as soon as you possibly can so that we can try to fit you in for an appointment the same day. Where this is not possible, we will be able to offer advice about how to care for the tooth, or teeth, until such time as we are able to see you. When you come to our Bromley dental practice for an emergency appointment, the first thing that we will do is to give you a thorough examination which may also include x-rays to determine any potential hidden damage. Once the results of these are known, a treatment plan will be devised. Especially where pain is severe, we will always endeavour to treat the problem in its entirety on the same day. This may mean a filling or possibly even extraction where the tooth is damaged beyond repair. Where more extensive treatment is required, such as root canal treatment, for example, we will do all that we can to make sure that the tooth is as comfortable as possible and arrange a longer appointment, where the procedure can be carried out, as soon as we can. How you can help your children get off to a good start to having healthy teeth. Although, as most parents will attest, children like to think that they know best, this is rarely the case. This applies even to dental care. Arguments such as ‘but my teeth taste nice’ after eating sweets and not wanting to clean their teeth will only result in dental decay if given in to. Our role, as parents, is to guide our children through life, setting good examples and teaching them as we go along. At the Smile Dental Practice in Bromley, we offer ways of helping you to do this when it comes to looking after their teeth. You may have read reports that state that the main cause of hospital admissions for young children is to have treatment following dental decay. Whilst there have always been sweets available, they are probably more so now. Perhaps more worryingly though, many products that parents presume to be healthy are extremely damaging to teeth. One of the biggest causes of tooth decay in children is now thought to be fruit juices. This is often given to children as it is deemed to be healthy, but the high natural sugar content is extremely damaging to the enamel of young teeth. 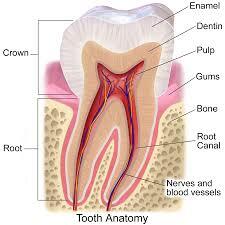 Looking at the main components of a healthy tooth. On the surface of it, our teeth appear to be a solid block of hard material which is consistent throughout. This is not the case though, and a tooth consists of three essential parts which our Bromley dentist takes a closer look at in this, our latest blog post. The enamel is the external part of the tooth and is very hard and predominantly non porous. This helps to protect the more vulnerable inner part of the tooth. It is, however, also in the front line of our daily eating habits and is therefore the first part to become damaged or worn. Taking care to keep our teeth clean and free of acids and bacteria will help to keep the enamel in good condition for many years. It may though, become discoloured and less attractive over time, although this can be rectified with cosmetic dentistry such as a teeth whitening procedure. Any breakage, or wearing of the enamel, will expose the structure under it, known as the dentine. Just a few simple procedures at the Smile Dental Practice can knock years off your appearance! It is probably safe to say, that most of us would probably choose to look a little younger if we could; certainly once we reach that age when lines and wrinkles start to appear on our face, and our lips thin and cheeks start to sag. Whilst eating healthily and not smoking will certainly help with this, age will always catch up with us, and we are then left with the choice of accepting the way that we look, or doing something about it. For those who wish to take action to make themselves younger looking, here are a few of the treatments available at your convenient Bromley dental practice that will help you to achieve this. There are a few cosmetic dental treatments that will help you to look younger. One factor of ageing is that our teeth start to darken, often taking on a shade of yellow. Those who have smoked in the past may also find that their teeth become badly stained. A teeth whitening procedure is a highly effective method of reversing this discolouration, and is safe, fast acting and affordable. For more severely stained teeth, or teeth that have suffered a lot of wear and tear, dental veneers can be used to replace the surface enamel. Offering our specialist dental skills to local Bromley dental practices. At the Smile Dental Practice, we are proud to be able to offer our patients an extensive range of both essential and cosmetic dental procedures, from a basic filling to the highly sophisticated, and increasingly popular, teeth replacement method, dental implants. 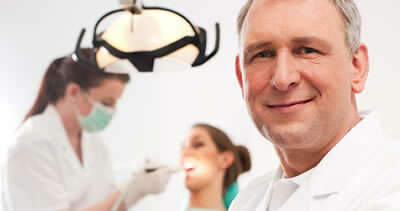 We also offer specialist dentistry which may not be available at all dentists in the Bromley area. To ensure that patients of other practices are able to receive these treatments when needed, we are very pleased to accept referrals for specific treatments from other local practitioners. 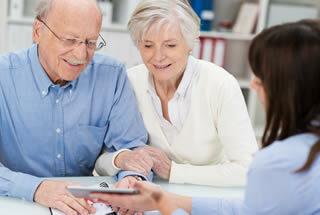 How we help our Bromley patients when things go wrong. Over the past few weeks, we have written a number of blogs about preventative dental care on the Smile Dental Practice blog. Whilst we do feel that this is the best way to ensure good ongoing oral health care, sometimes things don’t always go to plan and dental treatment might be needed to preserve or restore a tooth. Our Bromley dental clinicians are both friendly and experienced and will always try to preserve as much of the natural tooth as is possible and where possible. The following are some of the treatments that we might use to preserve or restore a tooth when it has suffered from damage or decay. Fillings – One that is probably familiar to most people who have visited a dentist in the past few years. Fillings are used when a tooth has been affected by decay. Where this occurs, the decayed material is removed through the use of a dental drill and the filling then placed in the cavity to harden. Amalgam fillings are the most commonly used but white tooth fillings are now becoming an increasingly popular option for aesthetic reasons. Crowns – Where a tooth has become so badly decayed or damaged that the cavity or breakage would be so large as to not hold a filling, a dental crown can be used instead. These are produced at a dental laboratory and are usually made from porcelain or ceramic. These are produced following scans and are made to match the shade of the natural tooth. Once produced, these are simply attached to the prepared affected tooth using strong dental cement. Our Bromley dentist discusses how bruxism can impact your teeth and what can be done about it. Many of us grind our teeth, often without even knowing it. The fact is that this most often occurs whilst we are asleep and is therefore more difficult to prevent happening than if it occurred during waking hours. Although there may be many different causes of bruxism, or teeth grinding, it is widely thought that it is related to stress, and, in today’s fast moving world, it is probably not surprising that this is on the increase. There are two possible routes to preventing bruxism. The first involves a potentially lengthy process to reduce the stress in our lives. For some, this may mean a career or lifestyle change, whist for others this is not a realistic option, and, instead, alternatives such as relaxation techniques or even counselling may be needed to help to reduce stress. The second route is to take physical preventative action through the use of a mouthpiece which is worn at night and prevents the teeth from grinding together. Ideally, this should be used in conjunction with efforts to reduce stress over the longer term. Use of this device however, can be very useful in preventing the damage that bruxism can cause to the teeth. A ‘what not to do’ guide for our Bromley patients. We have written quite a few blog posts on the Smile Dental Practice website and understandably, most of these have been how to take care of your oral health, along with advising of the benefits of dental implants etc. This time, we thought it would be good to take a look at some of the habits that can actually really affect your teeth in a negative way. Many of these we have seen at our Bromley practice, as no doubt have most dentists across the UK! Don’t brush your teeth – This one is obvious, and, thankfully, most people do at least brush their teeth. This does need to be done correctly though and we are happy to advise if you are not sure. Don’t floss – Around 80% of us don’t floss. If you fail to do this, you are likely to suffer from dental decay or gum disease, caused by the build up of foodstuffs and bacteria between the teeth. Use an old toothbrush – Current guidance is that you should change your toothbrush every three months. Whilst an extra month or so from time to time may not hurt, we have had patients who had used the same toothbrush for over a year, and more, and were surprised at this and how ineffective and old brush can be. Use non fluoride toothpaste – Some health shops sell non fluoride toothpaste and whilst it is every patient’s right to use what toothpaste they choose, our professional opinion at the Smile Dental Practice, is that only fluoride toothpastes will keep the enamel on your teeth strong and healthy. Let fear stop you seeing a dentist – We appreciate that, for some people, dental visits are very frightening indeed. Despite this though, ignoring your appointments will almost certainly result in deterioration of your oral health. For this reason, we offer sedation dentistry at our Bromley dental clinic for very nervous patients. Eat too much sugar – Aside from the risk of obesity and diabetes, high sugar consumption is almost certain to lead to tooth decay. Smoke or drink to excess – As well as the increased risks of oral cancers, smoking and drinking are likely to lead to a dry mouth which allows the gingival bacteria to multiply. This is likely to result in gum disease along with related problems such as halitosis. Open bottles – Yes, hard as it may be to believe, some people do actually do this! Whether for a lack of a bottle opener or simply to show off, we have seen a few patients over the years who have badly chipped or broken a tooth by performing this act. We can, of course, usually restore the tooth with a dental crown or similar, but we are sure that patients would prefer to keep their own teeth if possible.